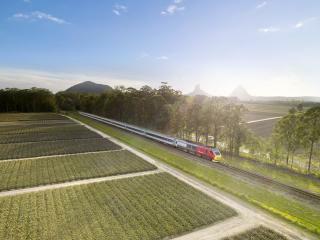 In a country the size of Australia, it’s no surprise that it would be recognised for building some of the most breathtaking rail journeys in the world. Traversing vast plains and diverse, challenging landscapes, the Australian railway network takes passengers through expansive remote territories and into unsurpassed beauty. Connecting regional towns and thriving metropolises, this is a network which truly deserves the international recognition of which it garners. 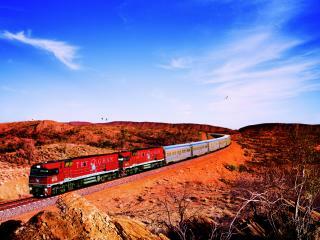 Including well known rail journeys such as The Gahn, Spirit of Queensland and the Indian Pacific, passengers are exposed to spectacular regions such the Nullarbor, Blue Mountains, Alice Springs and the MacDougall Ranges. 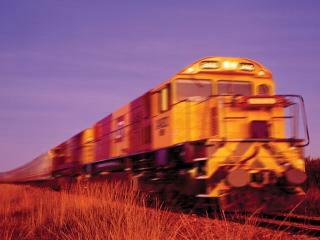 Travel over 4252km of expansive Australian landscape on the Indian Pacific. 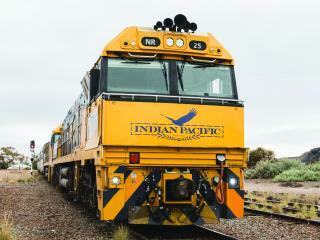 Linking the Indian and Pacific Oceans, guests will spend three nights on board as they cross the vast Nullarbor Plains, travel through the hazy Blue Mountains and stop at some of the country’s most iconic locations including Kalgoorlie, Broken Hill and Adelaide. Departing from Brisbane and Cairns several times a week, enjoy the tropical beauty of Queensland’s spectacular coastlines. Visit some of Australia’s most popular destinations as you pass by the Whitsundays, Townsville and vivid regional centres while travelling in comfort aboard the Spirit of Queensland. Choose between the premium RailBed or Premium Economy extendable seats while keeping entertained with your personal onboard entertainment system. With the unbelievable rail journeys on offer in Australia, it’s almost a surprise that tourists still choose to fly in such numbers. Over the last 150 years, comfort levels have risen exponentially. Travel in supreme luxury as you cruise across the stunning Australian landscape and take the time to enjoy the subtle changes to vegetation and geography. Enjoy shifting weather as you ease into new climates and learn to understand this great land from its heart. In our fast-paced world, slowing down by rail could not be more beneficial as your mind has a chance to slow, absorb and reflect. 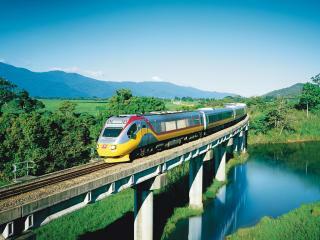 By rail, it is never more clear that life is about the journey, not the destination.